With millennials currently representing 35% of the total UK workforce, their influence is quickly defining the workplace culture. Their aspirational nature and knowledge of current technologies make them a vital part of any company. As millennials slowly outnumber Generation X and the retiring Baby Boomers, their presence will only become even more indispensable to all organisations in the future. However, millennials, also known as Generation Y, are no longer afraid of changing jobs. In fact, it is estimated that 60% of millennials are currently open to the idea of new job opportunities, and more than half don’t believe that they will be working for their current company in the next two years. With the average millennial costing £30,000 to replace, high millennial turnover can become a costly affair. So how can you stop your millennials getting itchy feet and leaving, when you desperately need them to stay? Here are eight proven techniques for keeping millenials happy and engaged at work, based on figures from the latest market reports. According to the Millennials at Work report, over half of millennials believe that career progression is the most important aspect of a job. Millennials are ambitious and want to succeed. The reality is that those who feel ‘stuck’ in a job are likely to go looking elsewhere. After all, one of the top three reasons millennials quit their job is to pursue a role which offers more career opportunities. The companies who succeed in retaining their millennials tend to have a training and progression plan in place, with clear goals for staff to meet to get promoted. In a recent survey by Robert Walters, 69% cited that a clear path for progression and training in a company was critical to keeping them motivated at a job. Following on from the point above, millennials want to constantly improve and do better. They love success and need the tools to help them get there. Offering your staff adequate training opportunities will not only benefit your business, but will also make staff feel like you care and that they are improving and developing within their current roles. Progression and promotion need to be met with salaries that reflect success. The ambitious millennial generation ranks pay more highly than past generations, with 25% claiming they would change job if they got offered a higher salary. The internet and sites like Glassdoor have made salary information much more transparent, and your employees can now compare their salary with your competitors’ as well as the marketplace going rate. Offering less than other companies may mean you lose valuable members of staff to your competitors. Ambitious millennials want their hard work to be recognised and appreciated. Having regular appraisals and offering feedback is a great way to keep them engaged and help them progress and achieve their set goals. Millennials have grown up being told that they can achieve anything they want to achieve. They thrive on being given more responsibility and delivering results. Companies who succeed at retaining their millennial staff don’t take this characteristic for granted, and instead focus on giving them as much accountability as they wish for. Companies are increasingly offering their staff flexi-time and the opportunity to work from home, in order to please their younger workforce. If your company tends to be quite rigid when it comes to work-life balance, staff could potentially be tempted by alternative jobs offers. In fact, a work-life balance is one of the top requirements millennials look for when choosing a job. Offering employees flexi-time means they can work their 37.5 hours when they feel most motivated, and in turn will help them attain a better work-life balance. Flexi-time can also benefit employers, as rested and less stressed employees tend to be the most productive ones. However, saying that, this style is not always possible for all working environments. Conducting employee engagement surveys every six months gives staff the opportunity to anonymously flag up any issues and to give recommendations. Take this information on board, and make sure the employees feel listened to. This, as we have seen, is especially important for millennials. And finally, when millennial staff do leave, don’t forget to conduct an exit interview and ask them the reasons for leaving and how their experience could have been improved. This may be the answer to improving your retention rate. We had a fantastic time at the Advanced Engineering UK Show last week, it was great to catch up with some familiar faces and meet some new faces. We met many engineers who work in the science sectors as well as exsisting clients who were also exhibiting at the show. We ran a prize draw competition each day to win a bottle of Moet Champagne, this was a success and we had two very pleased winners. Congratulations to Amy Smith who is a materials engineering student at the University of Birmingham and to Chris Pedlingham who is the Engineering Manager at China Composites Ltd. They both won a bottle of Champagne after they won the prize draw on each day show. If you met us at the show and would like to see a range of our latest jobs, take a look here. This event offers “140 speakers and 100 exhibitors in one venue to create an unrivalled atmosphere and energy, packed with thought-provoking talks, ground-breaking discoveries, interactive experiences, workshops and performances”. There will be talks from world acclaimed researchers and explorers in the fields of science and engineering such as Tim Peake, Henry Marsh and Hannah Fry. We are delighted to announce that our team previously based in Durham City has relocated to NETPark in Sedgefield, County Durham. This is a fantastic move as NETPark is one of the UK’s premier science, engineering and technology parks for the commercialisation of cutting edge R&D from major international organisations, universities and SME’s. As a leading specialist in scientific, clinical and technical recruitment, we are not only keen to stay at the forefront of new advancements within science but we are also committed to helping organisations in this sector succeed, so NETPark is particularly significant for us. We are now located at Discovery Centre 2 within the park and our new address is: CK Group, Discovery Centre, NETPark, Sedgefield, Durham, TS21 3FH. If you would like to speak to us about our move, contact Graeme Pallas on 0191 384 8905 or email him here. The engineering, IT and technology sectors are at present the fastest growing sectors in the UK . Because of increased competition, companies in these fields are finding themselves forced to innovate to stay ahead of the game. Consequently many are expanding and having to recruit faster than ever. This is good news for professionals in these fields, as engineers, IT and tech experts are now the most in demand workers in the UK. In this article we explore the sudden need for engineers to replace the ageing engineering workforce and investigate how the disruptive tech market is forcing companies in this space to invest in additional specialist tech experts. Engineering plays an essential role in the UK’s economy, and in 2017 generated around 26% of the country’s GDP. However, despite the industry as a whole booming economically, it is also facing an engineering skills shortage. In December we wrote an article discussing the current problems associated with the industry’s ageing workforce, where the average engineer in Britain is 54 years old. As a result, with an average national retirement age of 65, 50% of the entire engineering workforce could be set to retire by 2020. As a result the sector is facing a massive skills gap that is needing to be filled urgently. To make matters worse, on top of this there has been a shortage in engineering graduates over the past 10 to 15 years, meaning companies can’t replace engineers leaving the industry quick enough, widening the gap. According to Engineer UK approximately 182,000 additional engineer graduates are needed per year until 2022. Sir James Dyson has decided to tackle the skills shortage himself and is launching his own private university, the Dyson Institute of Technology, to ensure he is training up enough graduates to take over jobs at Dyson. Additionally, not only is there a lack of engineers to fill current vacant roles, there are also many new engineering projects in progress which will create further demand over the next few years. One area that is notably thriving is infrastructure engineering. British infrastructure projects are estimated to create a demand for 150,000 engineers by 2020 thanks to high-profile projects like HS2 and Hinkley Point C.
The Aerospace industry is also an area of fast growth and is expected to create 100,000 new jobs in the next 15 years. An industry that is growing at an even faster pace than engineering is the IT and technology industry. Since 2011, £28 billion has been invested in this sector and, as a result, the digital economy is growing approximately 32% faster than the economy as a whole. This influx in investment has enabled a great deal of technological change and advance over the last few years and made the UK the European hub for tech companies. Subsequently companies such as Google and Facebook are now setting up their new headquarters in London. Furthermore, on average one tech startup is born every hour in Britain, ready to disrupt the market. The nature of the disruptive tech market is pressuring tech businesses to keep innovating to avoid becoming obsolete overnight. For example, the rise of Artificial Intelligence is predicted to completely change the tech industry in the next decade. Other big growth areas are Business Intelligence and Data Science. And to keep up, companies are recruiting more and more tech experts. It is predicted that there will be a rise in demand for cloud specialists, app developers and algorithm experts. Another prediction is that there will be an increase in demand in cyber security professionals, with the rise of Cyber-crime creating 3,500 additional jobs over the next two years. All in all, if you are an engineer in IT or tech then this is a great time to be looking for a new job. Alternatively, if you are looking for career change, looking for jobs in these sectors could be fruitful. If you need any help and advice regarding moving jobs or changing career paths then contact CK Technical, the UK’s leading technical recruitment company. Sadiq Khan, the mayor of London, has recently called for “prudent regulation and oversight” to control tech companies and ensure that innovative technology is used in our favour. He criticised the government for being too passive when it came to trying to regulate growth in innovation. Innovative technologies are increasingly intertwined in every element of our day-to-day lives. They have altered in some way or form the way we work, the way we communicate and the way we interact with objects. According to Sadiq Khan, because of the massive transformative effects they have on us, it is becoming more important than ever to find a way to control their impact on society, and ensure it is a positive one. Why is there a lack of regulation? Regulatory bodies control many aspects of change in a given field. However, they often struggle to manage innovation because of two main reasons. Firstly, most regulation was written long before the technological advances that we see today. Secondly, nowadays technology is developing so fast that regulatory frameworks can’t keep up – and regulation ends up lagging. With a lot of innovative technologies, they are so new that we can’t fully understand their implications on the market, or the future problems they might bring. This makes it very hard to set clear regulation around them. Take Bitcoin. The virtual currency has created big challenges to regulators, mainly because it is hard to regulate a technology we don’t quite understand. The risk of setting rules that are not necessary, or not right, will limit its future potential. What are the consequences of “passive” regulation? However, it is thought that the lack of clear regulation puts consumers at risk and the companies that implement these innovations in full control. Because of “passive” regulation, there are very few rules when it comes to releasing new disruptive tech products, and it is the innovator companies that decide when or how they are released to society. These decisions can, in some cases, end up having a massive transformative effect on society– and because of a lack of rules there is very little anyone else can do about it. These companies have worked hard to make their innovations work, and they are not going to limit themselves, especially if there is no law to tell them otherwise. One problem is that the inventors can be so product-minded that they forget to think about the bigger picture – and don’t always consider how their technology could be used in unpredictable ways, and consequently have unexpected risks. A good example is neuromorphic chip technology. This innovation is based on a neuro-inspired computer that mimics the way human neurons and synapses communicate. With further developments robots will be able to form memories and increase intelligence – like humans do. This is a big breakthrough – but again, like much innovative technology the consequences of this could be dramatic – yet we won’t know until it is released and could be too late. Another big problem is that a lack of rules creates monopolies in the marketplace. This is a whole topic which has created a lot of media attention in the last few years. Does a lack of regulation contradict “responsible development”? A lack of clear regulation also means no clear law when it comes to innovation and ethics. Companies are left to their own devices to make ethical decisions that will impact our society. Science has been an area of controversy when it comes to “responsible development”. Some controversial examples include genetically modified organisms (GMOs), the control of the IVF and genetic manipulation. We are currently developing systems that enable us to replace genes with others – essentially allowing the elimination of certain diseases. Genetic manipulation should be celebrated, but without clear regulation where do we draw the line? China has already attempted to create a “designer baby” by manipulating an embryo’s genome. Another area of interest is Artificial Intelligence. AI software based on algorithms are now being used by insurance companies to calculate people’s quotes, or by recruitment companies to choose candidates. Yet is it right to let these decisions be made by machines? Society hasn’t had a say on this – it is the companies creating the software and the ones buying it calling all the shots. In short, tech is innovating faster than we are forming systems of ethics to ensure “responsible development”. We are however seeing improvements in this area – for example the European Union Horizon 2020 framework program for research and innovation includes a specific work program on Responsible Research and Innovation. However, could regulation limit growth? “Regulation” is often synonymous with “limitation” – which completely contradicts the idea of innovation. We are living in a very exciting innovative period, which has been fuelled by limited rules and unlimited opportunities. Despite the obvious issues with uncontrolled innovation, it is also thought that new technology is a very fragile thing and setting up regulatory supervision and an obstacle of rules would go against the principles of innovation, and in turn inhibit growth. To conclude, regulation in innovation is needed to protect public health and safety, and to ensure fair competition in the marketplace. The challenge is to find a happy medium, where innovation is encouraged, but only in an ethical and positive way for society. To make this happen, companies should work with the regulatory bodies to communicate the benefits in their inventions for society, and together better understand how to establish appropriate up-to-date rules that still allow us, as a society, to reap the benefits. A collaborative approach should help both regulators and innovative companies achieve their goals. We are pleased to launch a monthly series about inspiring women in industry. 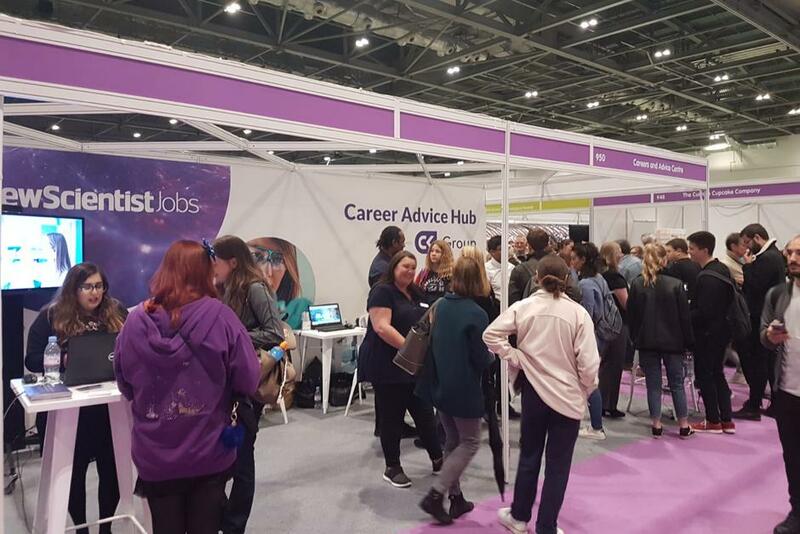 It is widely known that women within the STEM sector are vastly under-represented and we would like to encourage more women to consider a career in STEM. This year is also the 100th year since the first British women were given the right to vote. Bearing this in mind we wanted to showcase the most influential women in history who have contributed to discoveries in science. Some of these women you may have heard of and some are unsung heroines. Nuclear medicine is a branch of medical imaging that uses small amounts of radioactive materials to help diagnose and treat a wide variety of diseases. It is quick, painless and usually performed as an outpatient procedure. It has literally saved and improved the lives of countless people, but did you know that one of the early pioneers of nuclear medicine was a woman called Sameera Moussa? I bet you didn’t. You may never have heard her name before but you definitely should have. She was a contemporary of many famous scientists such as Albert Einstein, Max Planck, Watson & Crick. Sameera’s mother died of cancer while Sameera was still very young. This left a long-lasting impression on the young girl and is likely one of the reasons she dedicated her life to making nuclear technology accessible for medical use. She once claimed she wanted to make nuclear treatment as cheap as Aspirin. Throughout her life she volunteered at various hospitals, helping care for cancer patients. Sameera excelled in her primary and secondary education, eventually winning a place at Cairo University where she joined the Faculty of Sciences to study for a BSc in Radiology. She finished her degree with First Class Honours and followed up this triumph with a doctorate in Atomic Radiation. She later became a lecturer and assistant professor at the university, the first woman to hold such a post there. She was awarded the prestigious and highly competitive Fulbright Scholarship which allowed her to travel to America and study at the modern research facilities in California. She was even given permission to visit secret US atomic facilities in recognition of her pioneering nuclear research. She was the first non-US born person to be granted that privilege. While working in the UK she discovered an equation that would make nuclear bombs cheaper, however, she also set up the Atomic Energy for Peace conference because she knew that radiation was more than just a destructive force. Sadly her life and pioneering work were cut short. She was killed in a tragic car accident while in California when the vehicle she was travelling in fell from a height of 40 feet. Who knows what she could have accomplished if she hadn’t died so young. 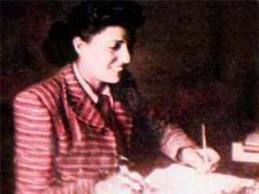 The Egyptian Army honoured her in 1953 and she was posthumously awarded the Order of Science and Arts, First Class. She has a school and laboratory named after her in a village she lived in. You now know who Sameera Moussa was and why she should be your new hero! Take a look at our article ‘the future is bright for women in engineering featuring Hedy Lamarr’.